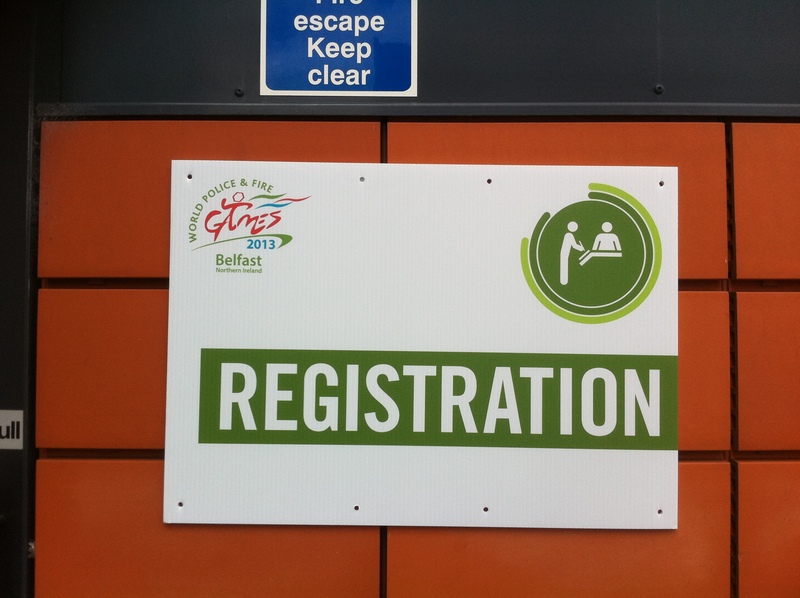 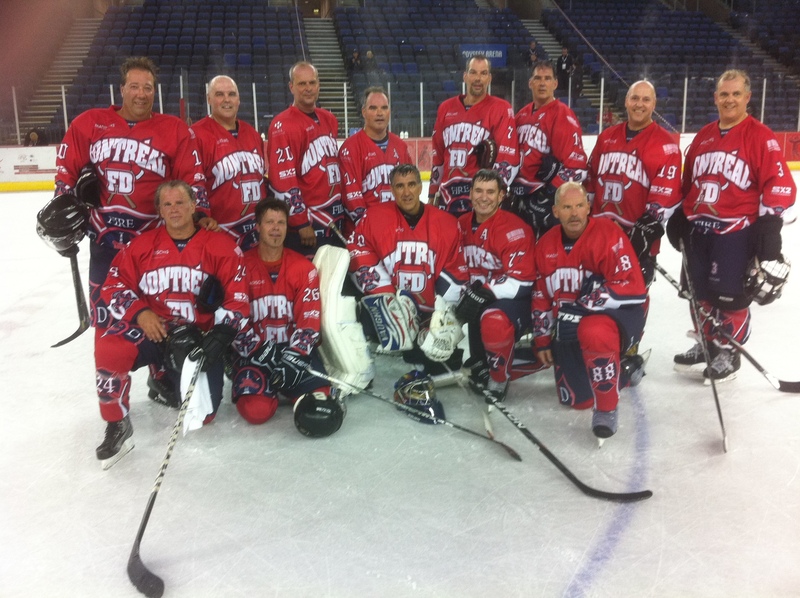 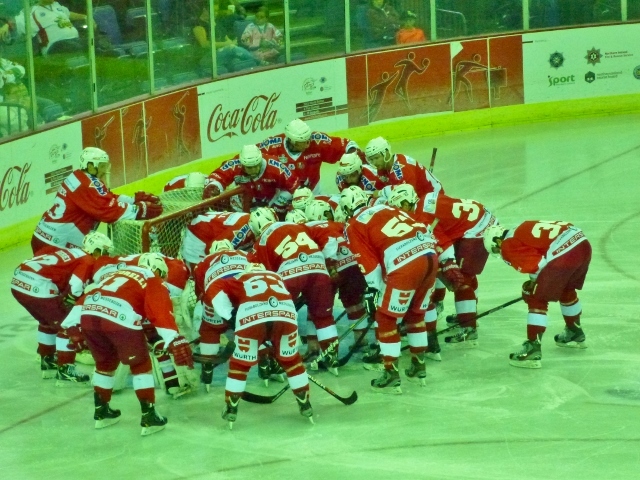 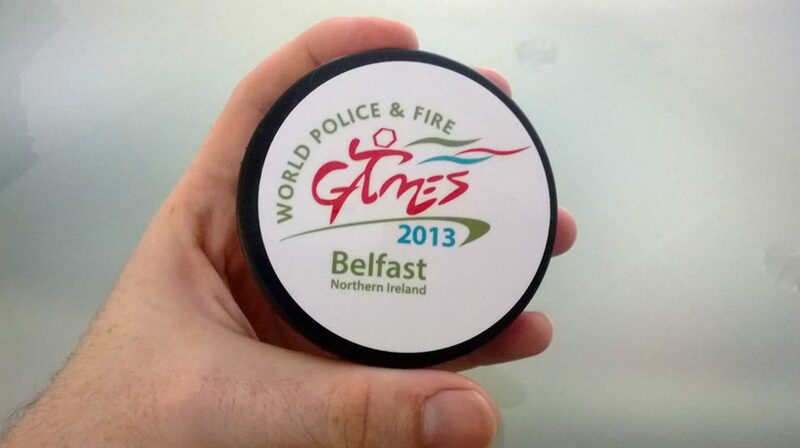 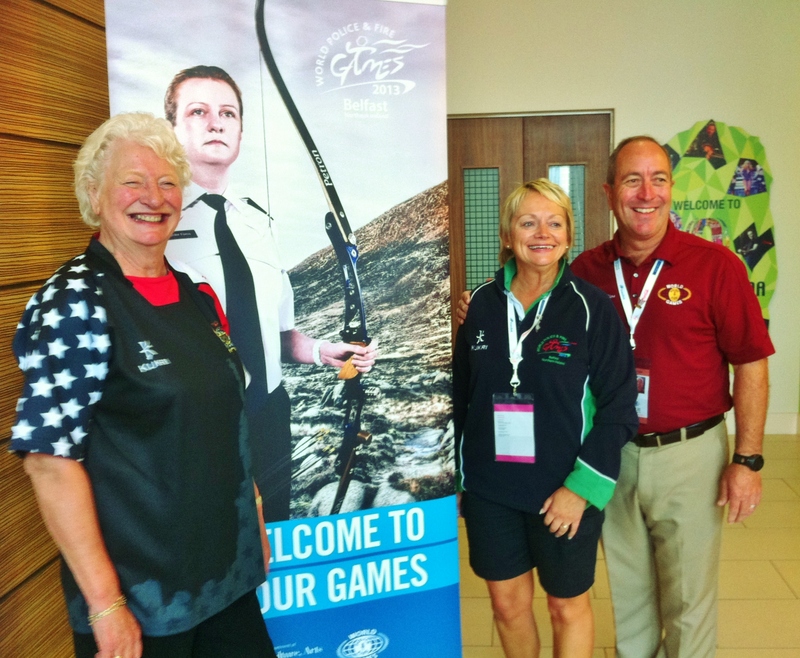 The World Police and Fire Games said thank you to its volunteers by offering them free seats at a recent pre-season friendly match involving the Belfast Giants and Bolzano/Bozen Foxes from Südtirol in Italy. 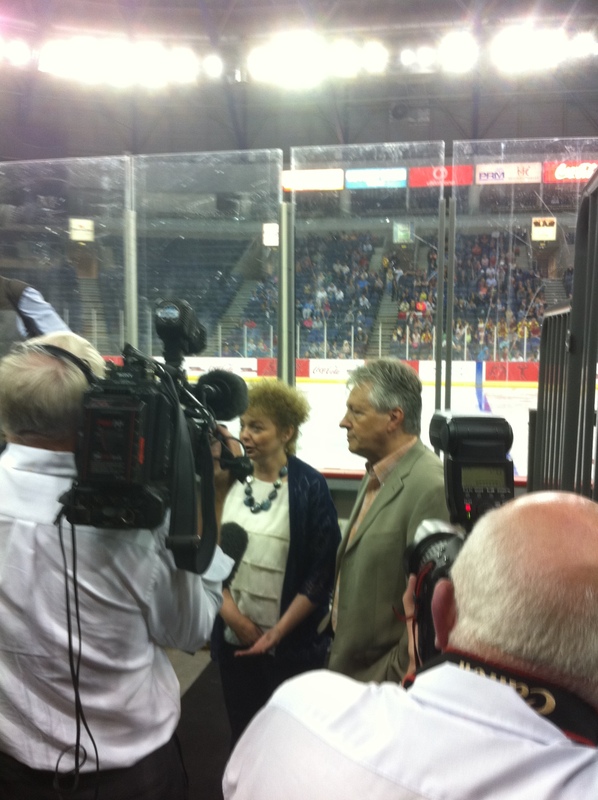 The Stormont Department of Culture and Sport paid for the tickets and the Minister Carál Ní Chuilín threw in the puck at the face-off. 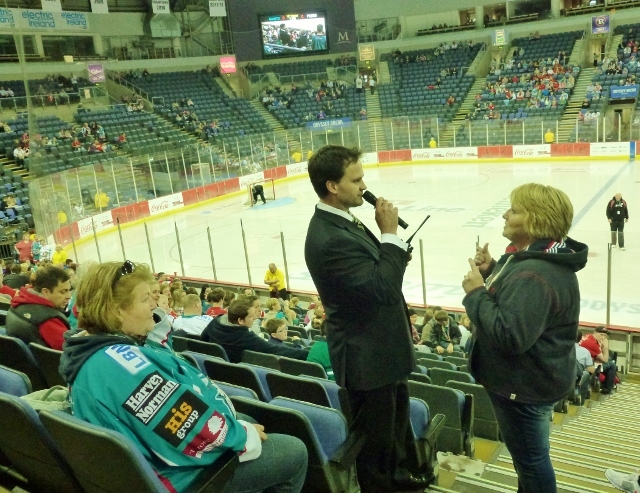 The giveaway was organised through Todd Kelman, General Manager of the Giants. 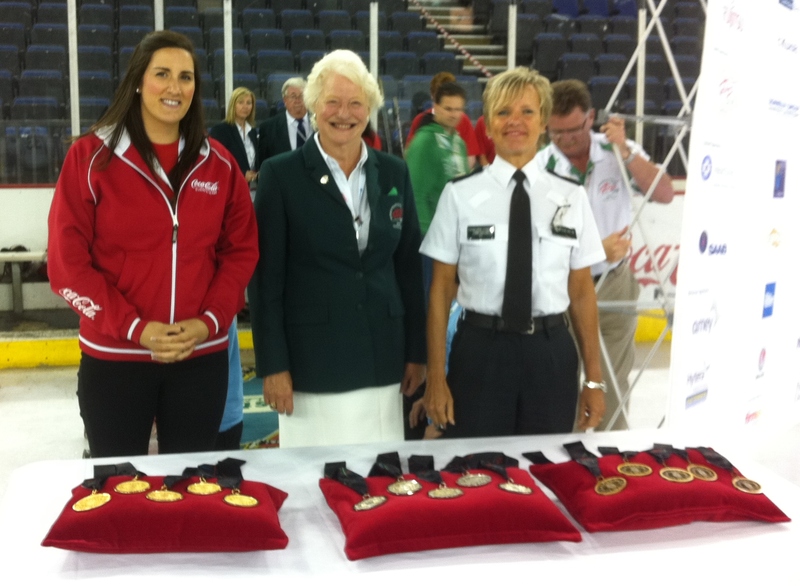 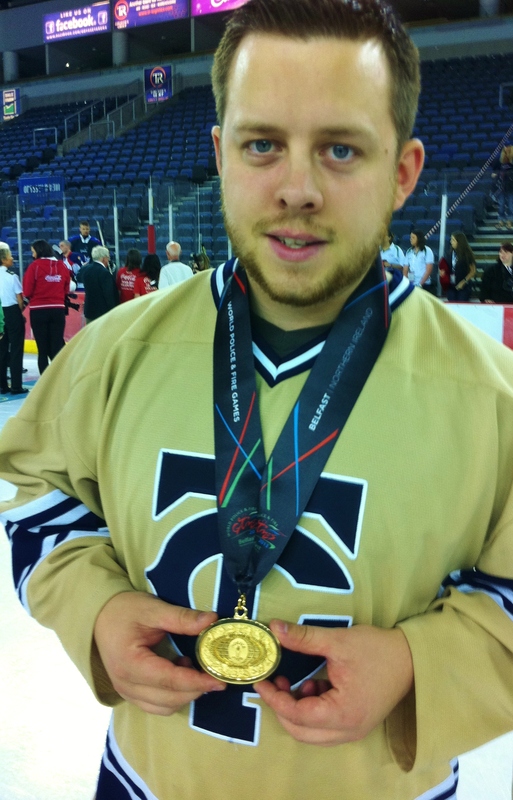 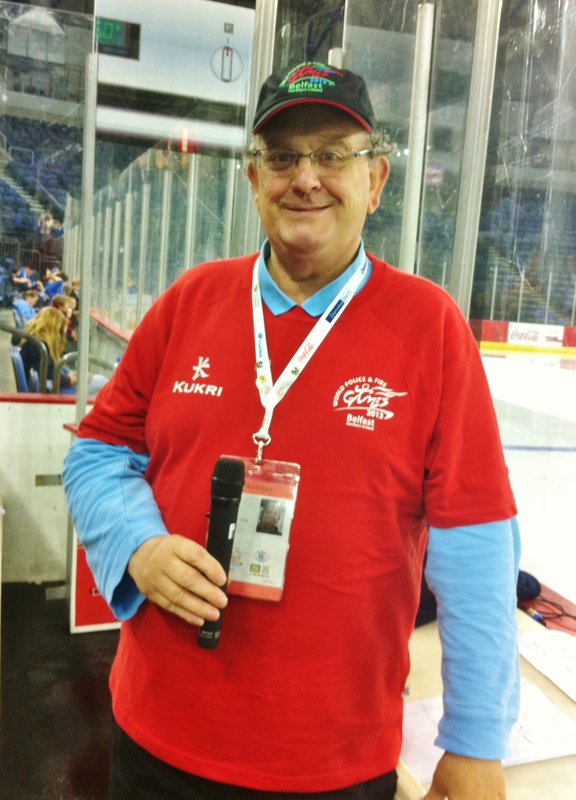 He had been co-ordinator for the ice hockey at the WPFG event and thanks to his enthusiasm and a great team of volunteers which I was delighted to be part of, over 52,000 people passed through the Odyssey to see the various matches in the space of a fortnight. 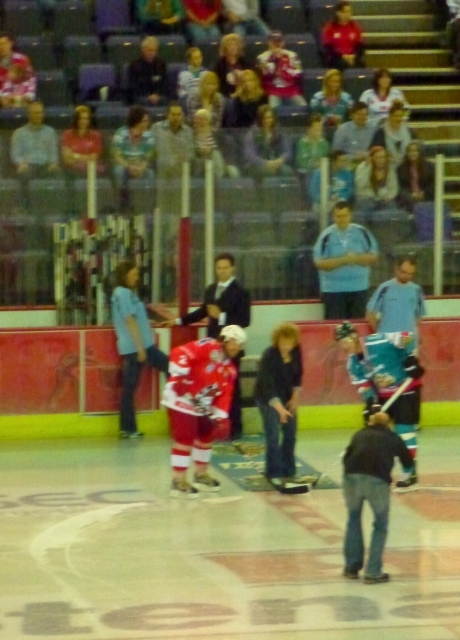 The previous night had been a special one for Todd as the number 44 jersey he had worn with distinction as a player with the Giants was officially retired. 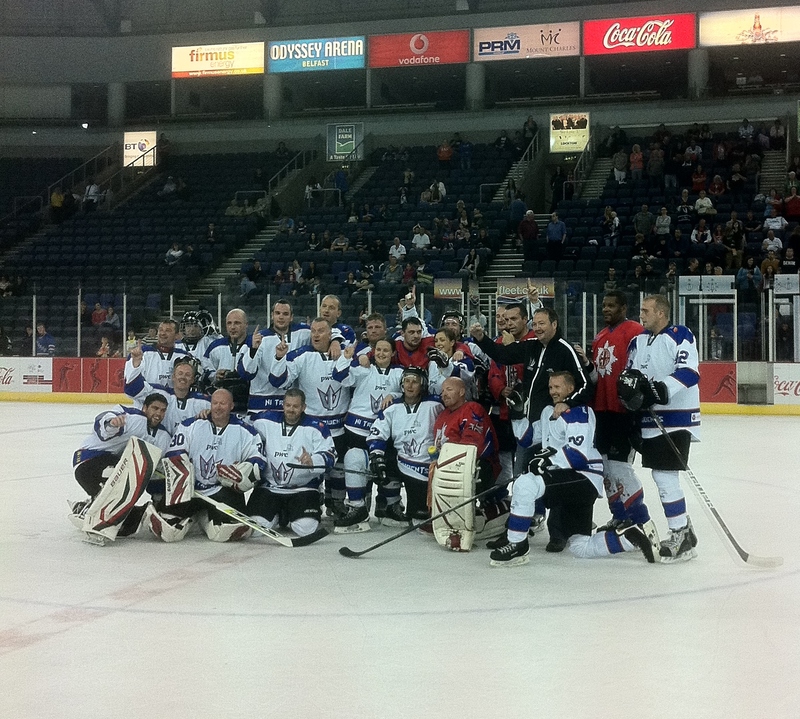 It was the sixth jersey retirement in the Giants’ history. 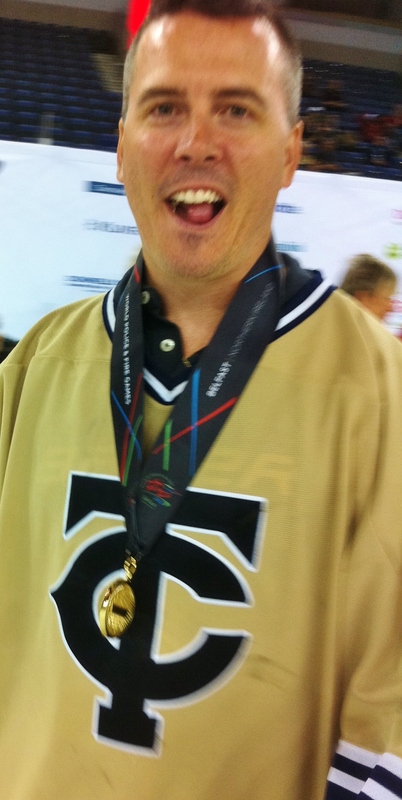 Todd wore the no.44 jersey on 419 occasions for the Giants across eight seasons and retired from on-ice duties as the all-time leader in games played as well as the leading scoring defenceman in the team’s history with 73 goals and 141 assists. 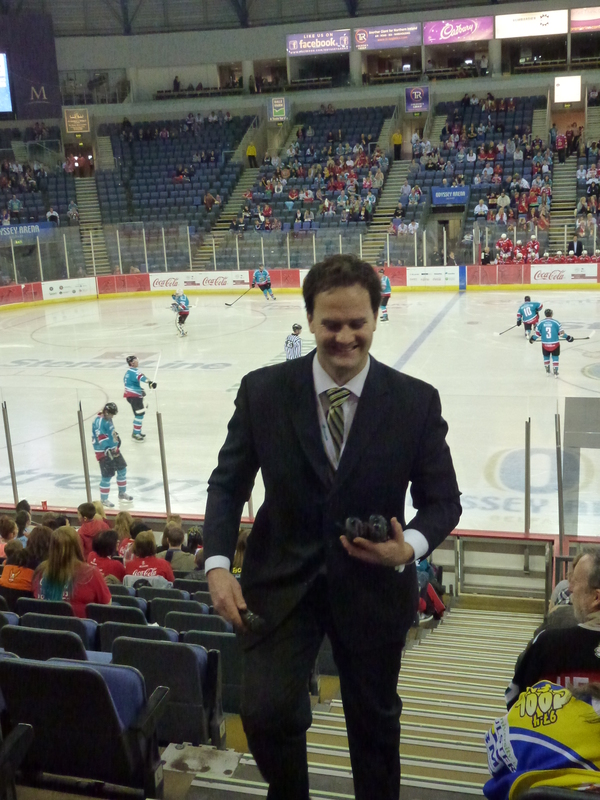 He stopped playing to take up the role of General Manager over seven years ago and since then the Giants have won all 4 major titles up for grabs in the Elite League winning the Knock Out Cup and Challenge Cup in 2009, the playoff title in 2010 and the Elite League Title in 2012. 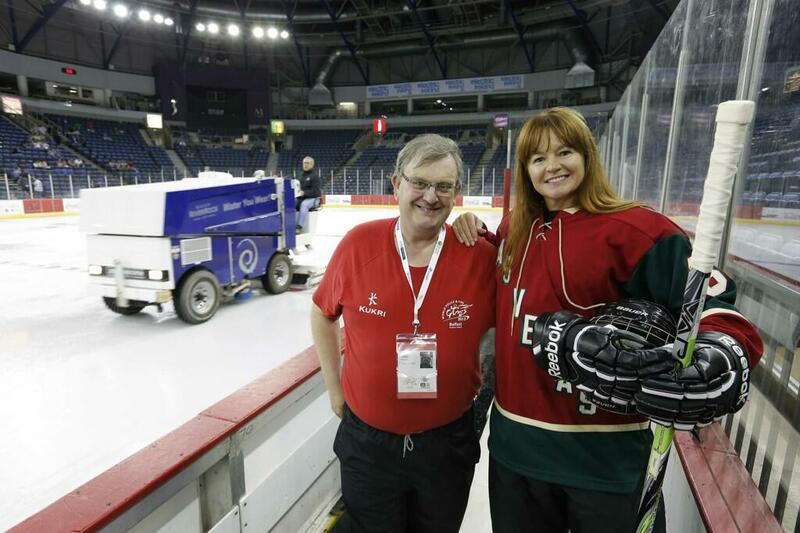 Thank you Todd for taking me and the other volunteers and games officials under your wing and allowing us to experience the thrills and spills of ice hockey. 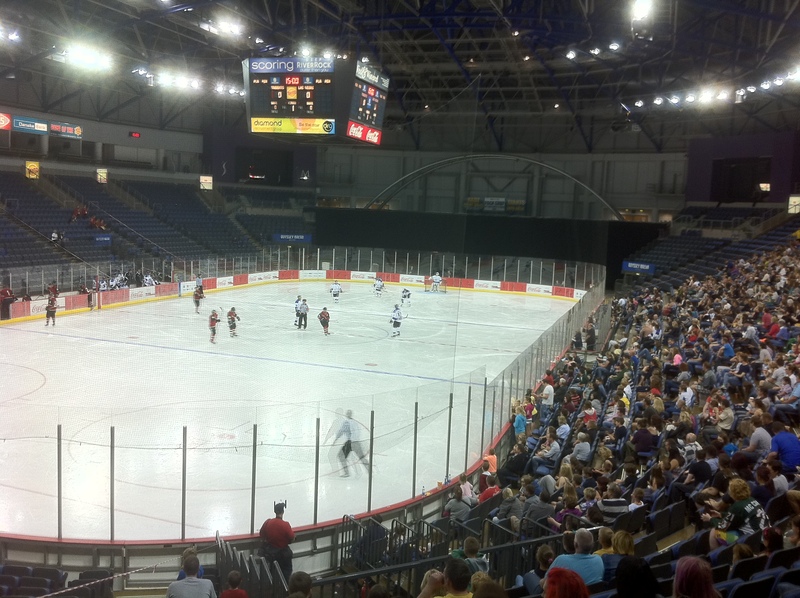 Some volunteers had never been to see a match before the police and fire games started; others like me had seen the Giants in action on a couple of occasions; then there was the experienced team of volunteers, many of whom I met back on duty at the Odyssey over the weekend. 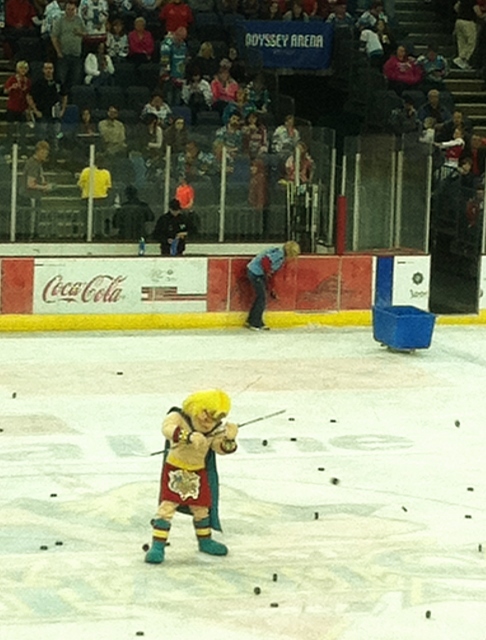 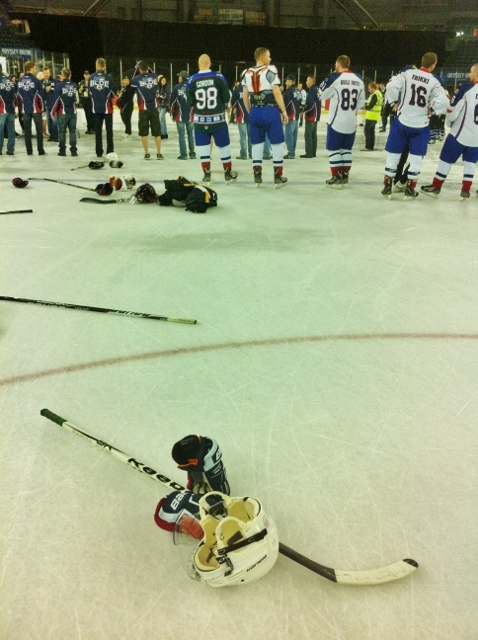 It was also a chance to see the Giants’ mascot Finn McCool back in action on the ice during the ‘chuck a puck’. 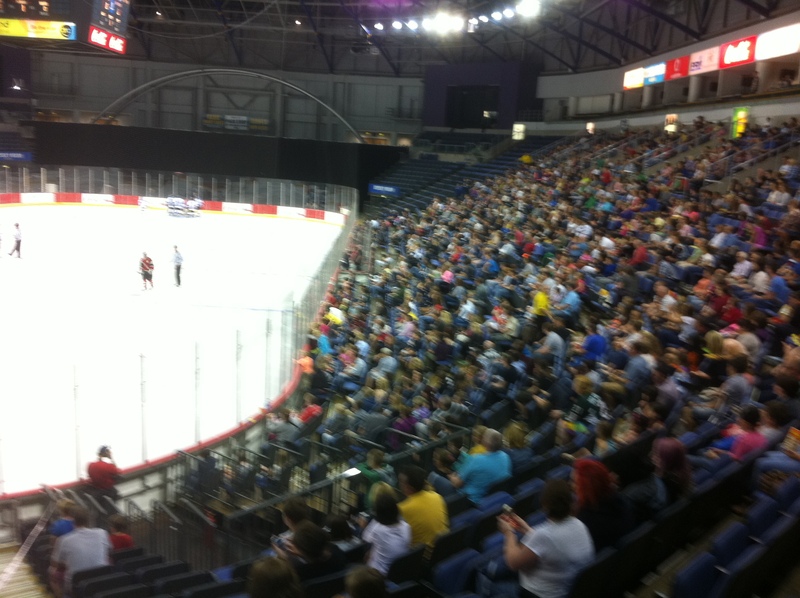 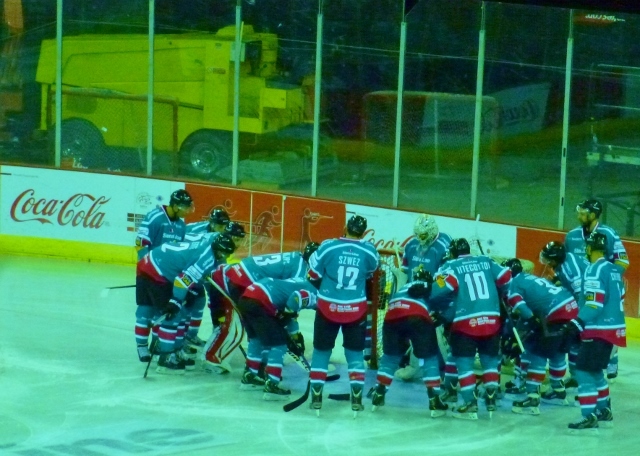 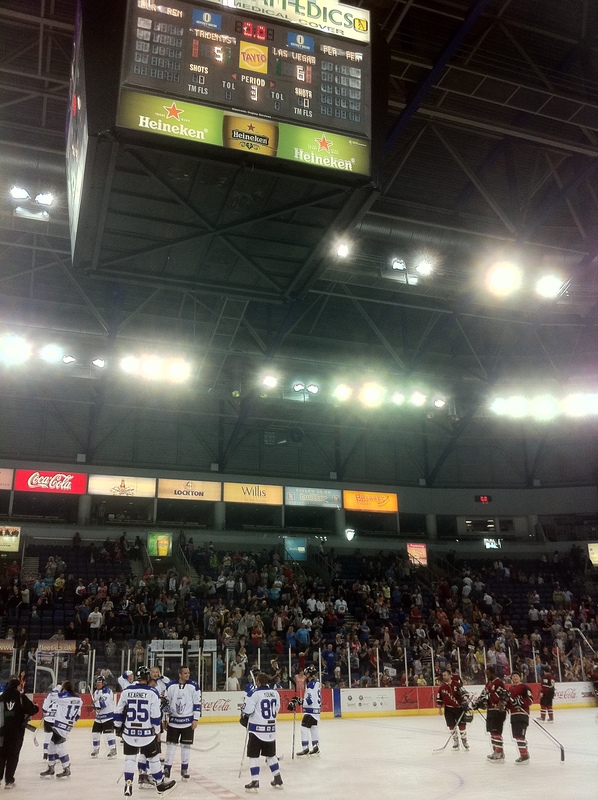 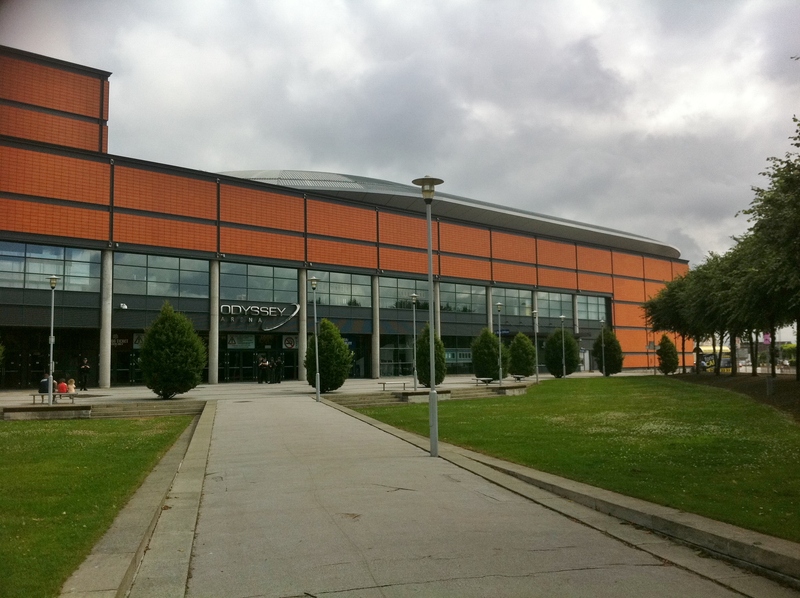 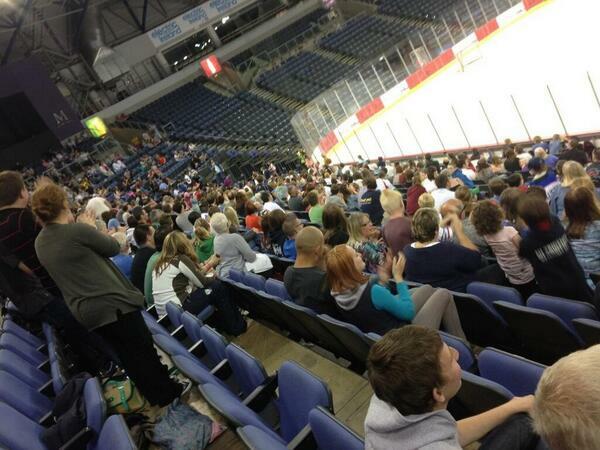 Belfast Giants won 2-1 with a goal after 25 seconds of overtime. 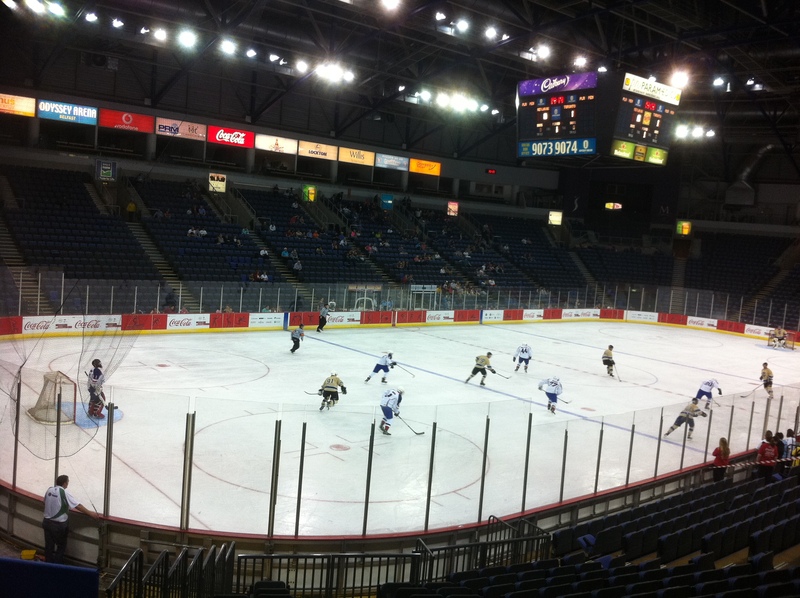 The first and second periods were scoreless. 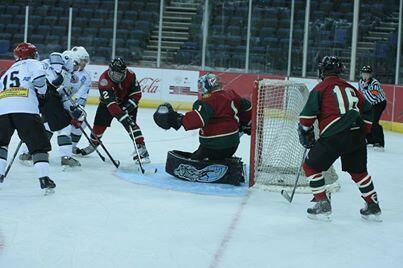 The Giants went ahead and then the Foxes equalised so at the end of normal time it was 1-1. 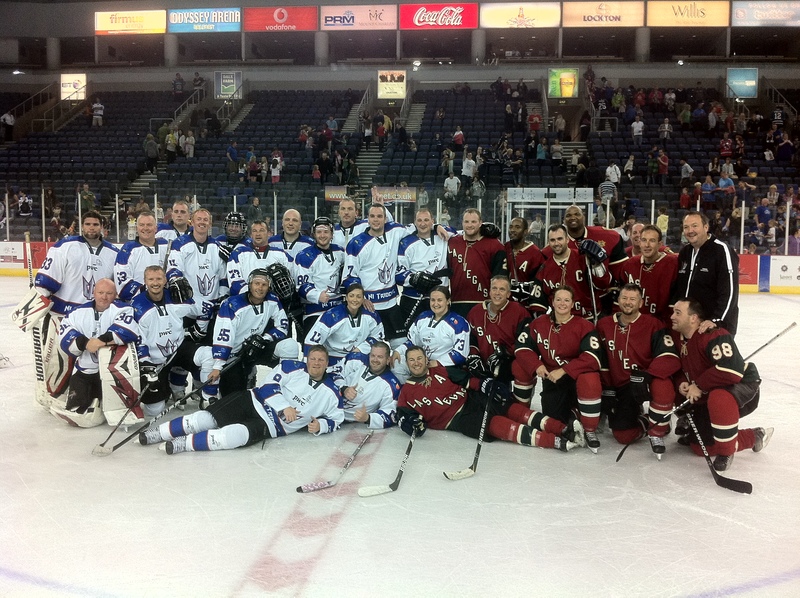 The Giants had won the previous night 6-3.